The ‘daily price of gold’ is the topic of conversation these days. We’re often asked whether gold will increase or decrease in price, is gold a good investment and should I cash out my old gold jewelry? As I write this article today on May 11, 2010, the price of gold has increased to $1220.00 U.S. dollars per troy oz. — an all time high. The chemical symbol for gold is Au, derived from the Latin word for ‘glowing dawn.’ Gold has been treasured and used for centuries because of its unique natural qualities. Gold will not rust, it’s easy to melt and fabricate with, however, I think its most prized value is that it is the only natural metal with the beautiful warm, glowing golden color. 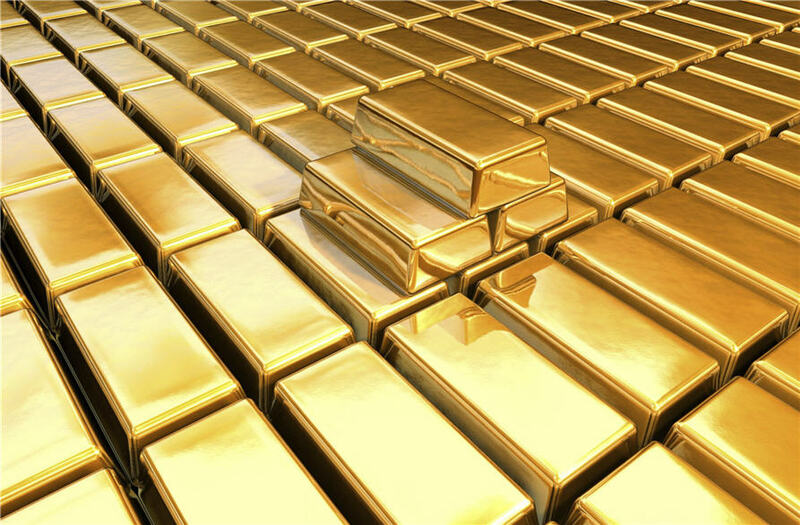 For all these reasons, gold has been traded and used for thousands of years as a global currency. Precious metals are rare metallic chemical elements and for jewelry purposes these are gold, platinum and silver. Precious metals are mixed with other metals, which are called an ‘alloy’. An alloy such as copper makes the gold stronger for gold smithing and gives the gold a reddish pink hue, called rose gold. White metals such as nickel, palladium and silver are mixed with pure gold to create white gold. In order to determine the percentage of an alloy mixed with the gold, international hallmarks were created. The finess standards are recorded in the ‘Precious Metals Blue Book’. The karate mark, also known as a finess mark, is the mark indicating the percentage of parts of gold per thousand. For example the 18k stamp indicates 75% gold content and the jewelry will be hallmarked 750 or 18k, which is the standard in Italy. Gold content of 58.3% is hallmarked 585 or 14k, the standard for the USA and England. The minimum standard for the USA is 10k, hallmarked 417 representing 41.7%. Minimum standards for England is 9K, hallmarked 375 at 37.5%. The minimum for Germany is 8k, hallmarked 333 at 33.3% gold content. Pure gold of 99%, is hallmarked 24k and 91.6% is hallmarked 22k, these are the standards for India. In the Arabic countries the minimum gold content for jewelry is 87.5%, hallmarked 21. In China “Chuk Kam” or pure gold must contain a minimum of 99.0% gold. The gold market fluctuates as the world economy changes. In times of economic down turns the gold value per ounce will increase because it is a ‘liquid’ commodity, tangible. Gold values are also based on supply and demand; when investors purchase gold instead of stocks, bonds and other investments the price of gold per ounce will increase. Gold is more stable than currencies during extreme crises such as wars and economic depression. In many countries a family’s entire wealth is worn in gold jewelry as a symbol of prosperity. The sound of a woman’s gold bangles has a distinct delicate jingle.